Russian are not new to tuning business, but it’s has not been long since they started to get some recognition. That’s because of fine works such as this. 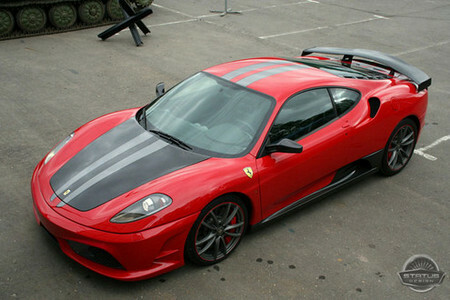 It’s a Ferrari F430 by Status Design, which features both visual and power upgrades. Actually it comes with two power packages with different level of output. The first is a 525 hp package with uprated ECU, sport exhausts, and modified intakes. It has a top speed of 320 km/h. The other package uses the bi-turbo system of Novite Rosso with 700 hp. The styling of this car is not just as good as engine! They apparently wanted it to look like 430 Scuderia, but with that big wing and flaps and stuff, it’s kinda ruined.